Víctor Valera attended the Escuela de Artes Plásticas de Maracaibo and the Escuela de Artes Plásticas y Aplicadas de Caracas, from which he was expelled in 1950 due to his participation in the strikes organized to protest against the teaching methods that were in place at the time. He exhibited in the Taller Libre de Arte and, in 1951, he traveled to Paris, where he made abstract-geometrical paintings and adopted iron which he would use as a sculptural medium. In 1954 he returned to Venezuela and joined Carlos Raúl Villanueva’s project at the Ciudad Universitaria de Caracas. He produced thirteen murals for the Faculty of Humanities and Education, including Positivo y Negativo (1956), in which the fragmentation and the dissolution of forms and colors gave rise to surfaces of marked optical-kinetic rhythms. In 1957 he became involved in the controversy about abstract art between Alejandro Otero and Miguel Otero Silva that took place after the official prize of sculpture went to a figurative work over Valera’s abstract work Sonoformas. The following year, and not without criticism, Valera obtained the Premio Nacional de Escultura with Aroa (1957), a piece with great dynamism arising from the interaction of the iron volumes and the emptiness within. Between 1960 and 1961, without abandoning his constructivist exercises, he was influenced by informalismo in his sculptures made out of scrap iron. He participated in the Taller de Quebrada Honda with British sculptor Kenneth Armitage, and was part of the exhibition Kenneth Armitage y ocho escultores venezolanos (Museo de Bellas Artes, Caracas, 1964). At that time, his figurative sculpture acquired greater symbolic character, which, through pieces like Abdalá el Ángel (1963) and Andrés y el balancín (1967), was well received in national competitions. During the seventies he made chromatic reliefs and movable assemblages that were shown at the Galería Estudio Actual (Caracas, 1974). At the end of that decade he began the series Torres metálicas and Papeles perforados. In the first series he returned to working in iron, now polychromatic, to produce totem-like forms of great geometric rigor. 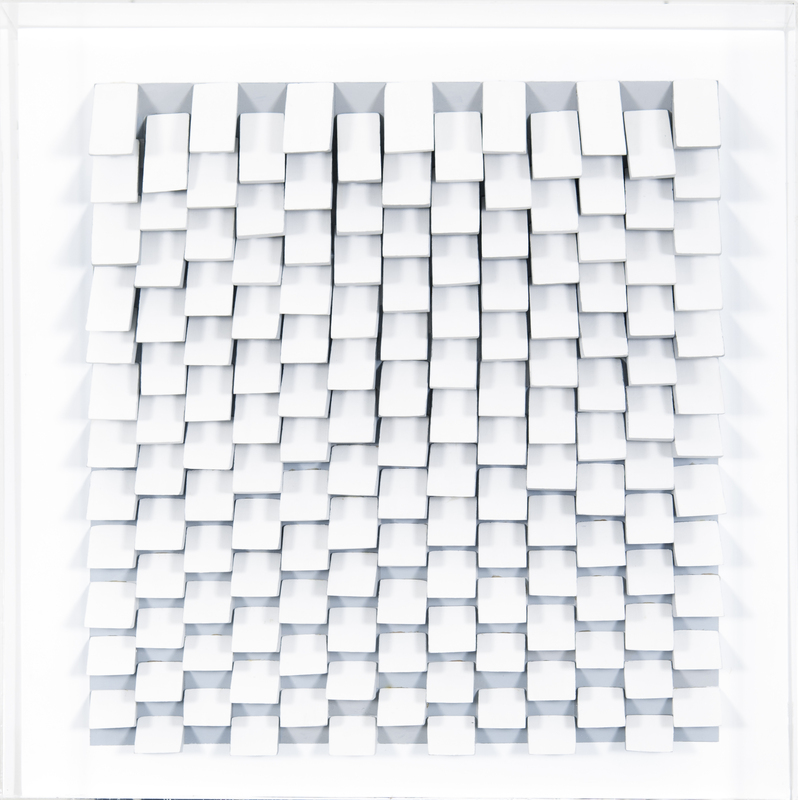 Los papeles, displayed at the Galería Estudio Actual (1980), constituted an intimate exercise in which paper was subtly perforated to produce a surface with evocative and suggestive modulations. In 1984 Victor Valera presented a retrospective exhibition Esculturas 1954-1984 (Museo de Arte Contemporáneo de Caracas). During the eighties and nineties he produced sculptures for public spaces, including Los tres atletas (Estación Parque del Este, today Miranda, Metro de Caracas, 1985), La cinta sin fin (Instituto Venezolano de Investigaciones Científicas, Altos de Pipe, Miranda, 1992) and Torre poniente (Maracaibo, 1998). In the exhibition El muro como soporte (Museo Alejandro Otero, Caracas, 1999) Valera’s works demonstrated his development that would be carried through into the new century He presented new abstract painting in acrylic, assemblages (some moving, other static and almost bi-dimensional) and polychromatic iron sculptures characterized by their organic forms.